This tutorial will review the process of blocking of a certain IP address in Joomla. This will allow you to restrict access to your website for that user. You need to log into your website as administrator and then navigate to the Configuration tab from the main menu. 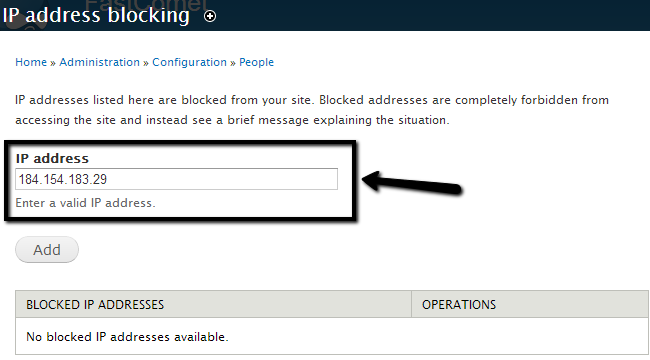 Locate the People section and click on the IP address blocking option. Add the new IP address that you wish to block from accessing your website. Click on the Add button to keep the changes.